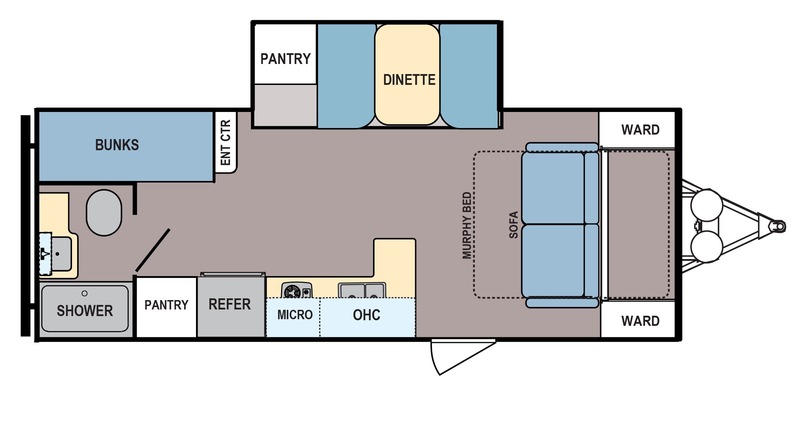 What Type of Travel Trailer? 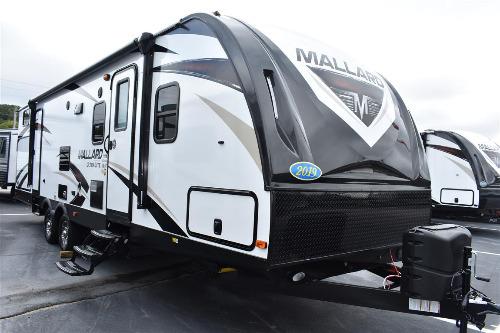 Camping World has more than 15,000 towable RVs available, including new and used travel trailers. 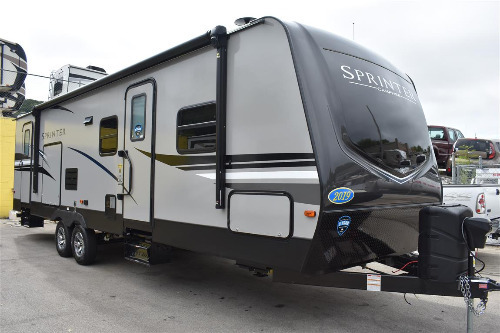 These RVs range from small lightweight units under 20 feet weighing less than 2,500 pounds to large travel trailers of more than 40 feet. 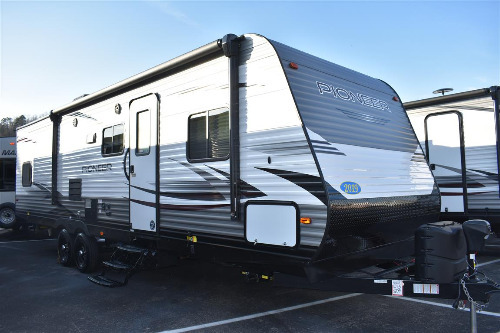 At Camping World, we want you to enjoy RV living with your significant other in a couples-only travel trailer or with your whole family in family friendly travel trailers, such as bunkhouse travel trailers. 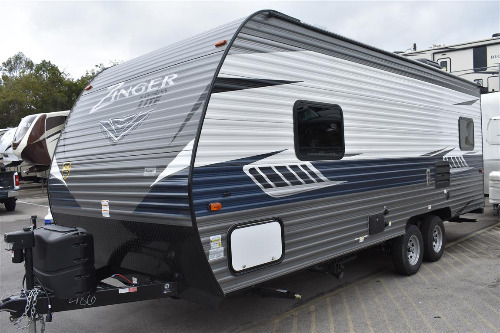 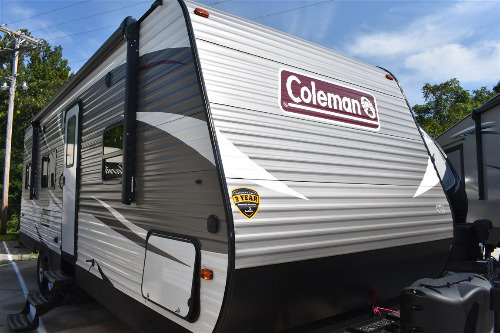 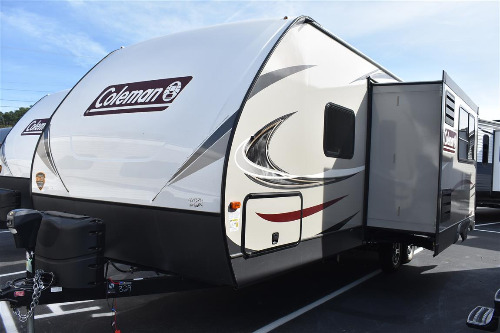 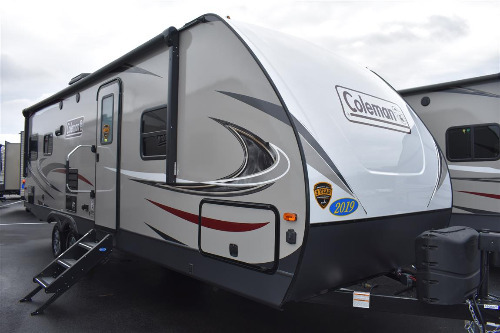 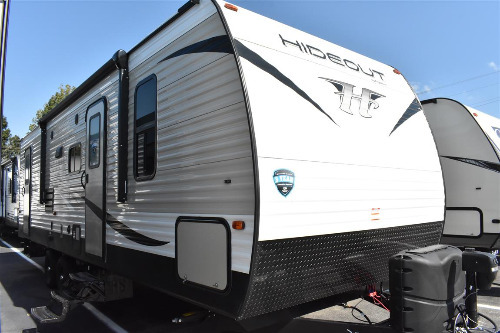 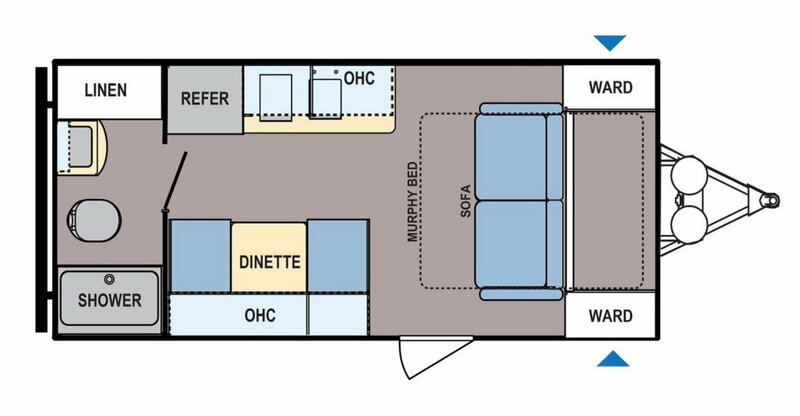 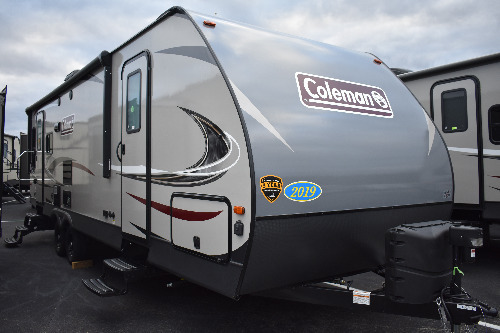 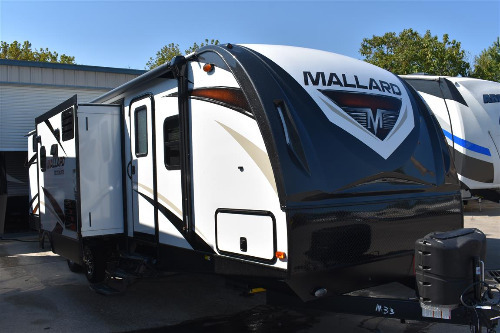 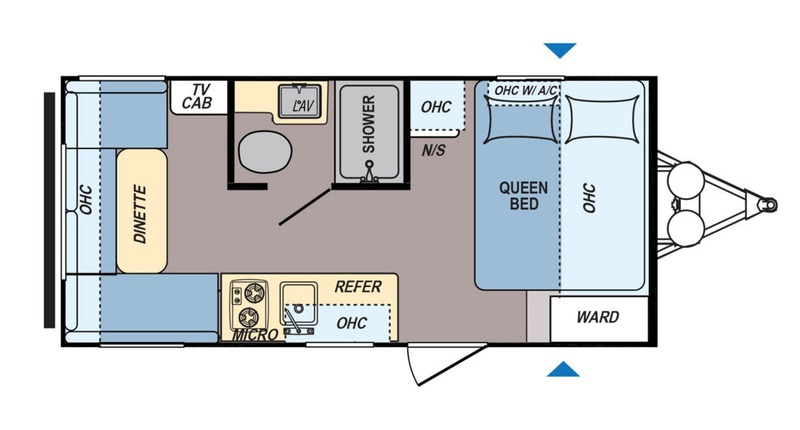 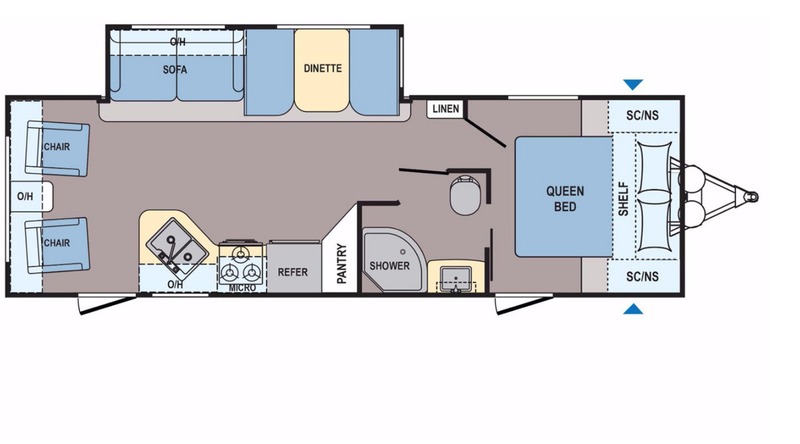 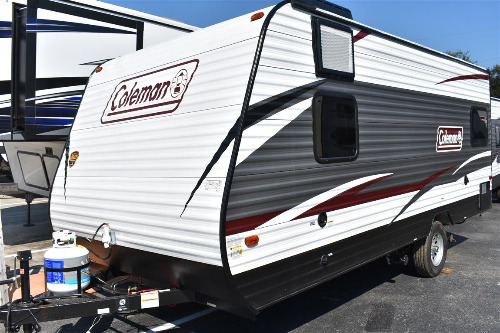 We have many floor plan types available, they include: hybrid trailers, rear living travel trailers, rear entertainment travel trailers, and rear bath travel trailers. 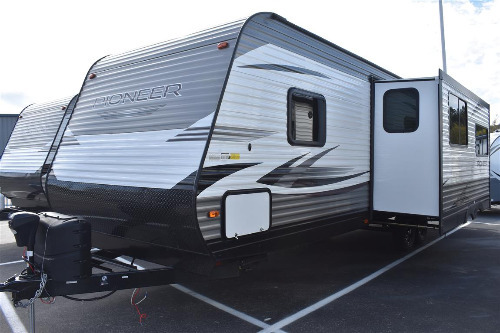 Other options include kitchen-focused rear kitchen travel trailers and front kitchen travel trailers. 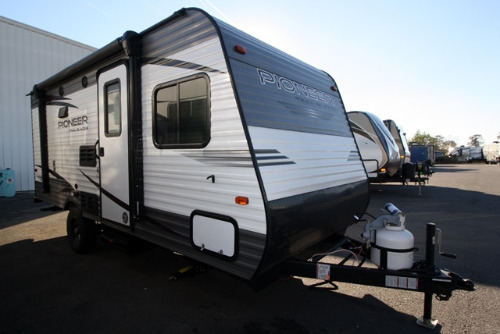 You can also cook outside with a fully-equipped outdoor kitchen travel trailer. 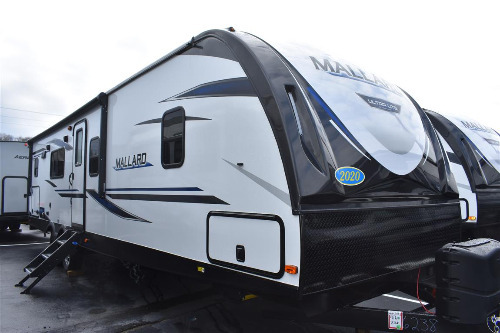 It’s easy to find your next travel trailer from Camping World. 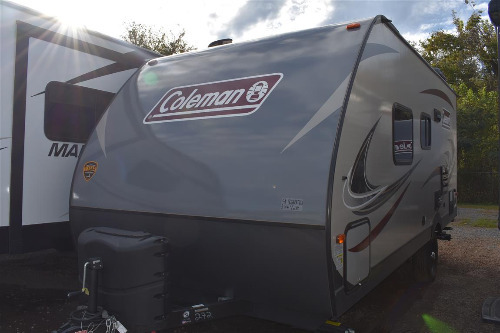 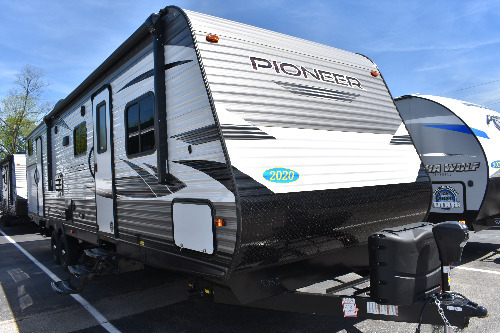 Choose from popular brands such as Pioneer, Mallard and Coleman from America’s best manufacturers: Heartland, Keystone, Forest River, Jayco, Dutchmen, Starcraft, Crossroads and more.